Do you want to make your caller show unique and stylish? Colorful Lines caller screen is suit for you! 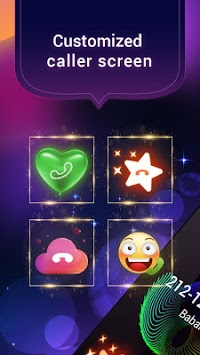 Download and enjoy this beautiful caller screen which is totally FREE now! This caller show only works with Phone color screen installed on your phone! 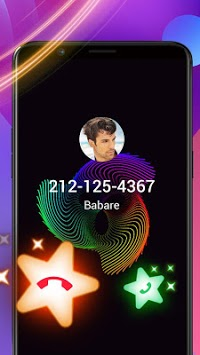 Colorful Lines caller screen has cool theme background which has Colorful Lines on it.Also,The answer button is unique and dynamic.Customize your phone with Colorful Lines caller screen，can make you different in your friends. Come and download this Colorful Lines caller screen! How do I apply for Colorful Lines caller screen? 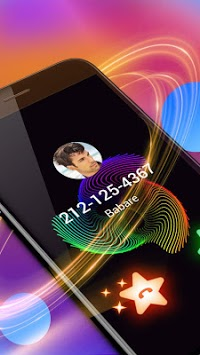 Colorful Lines Caller Screen has cool theme background which has cool led on it.Also,The answer button is unique and dynamic.Customize your phone with Colorful Lines Caller Screen，can make you different in your friends. Come and download this Colorful Lines Caller Screen!